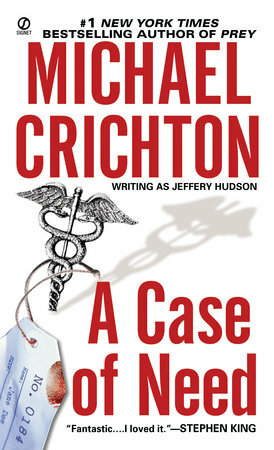 A Case of Need is Michael Crichton's award-winning debut novel, written shortly after he completed his medical internship. Set against the ever-building pressure and pace of a large Boston medical center, the tensions flare-and explode-when a surgical operation tragically ends in death, raising countless questions. Was it accidental malpractice? A violation of the Hippocratic oath? Or cold-blooded murder?